When you’re enjoying a day of skiing or snowboarding, you need a jacket that will move with you, allowing you even more freedom. 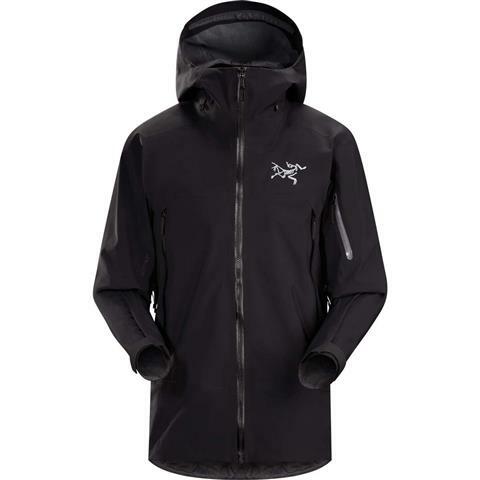 The Arc’teryx Sabre Jacket for men is designed with active mountain wear in mind. Not only is it impervious to moisture, preventing cold snow from soaking through, but the windproof material and extra flannel back insulation provides additional warmth for those chilly days on the slopes. With a relaxed fit and contemporary style, the Sabre Jacket is a versatile option that’s great for anything your day holds. Although specifically designed as active outwear, it’s functional enough to wear around town on a snowy day. You don’t need to worry that this jacket will impede on your performance during outdoor pursuits. The hood is helmet compatible with practically any type of headwear and won’t hamper your vision. If you get overheated, simply unzip the watertight pit zips. The Sabre even prevents snow from getting into your jacket with its integrated powder skirt. 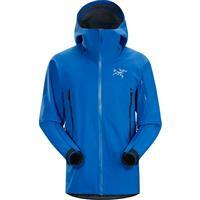 Plus, it’s designed to link with Arc’teryx Sabre Pants to create an entire snow-proof outfit. Great waterproof and breathable shell. Layering underneath keeps you warm and dry.